Thoughts On Carrying a Firearm in the Aftermath of the Orlando Terrorist Attack. Unfortunately an individual that wasn't necessarily anti-2A but not a gun owner chimed in and expressed his concern with the general premise. Not that he is against people carrying, but he is not comfortable with buying a gun and carrying it without the knowledge of how to use it. Similar thought to someone stating that the only way to be safe in an airplane is to buy a parachute and wear it when you are in a plane - without the training on how to use said parachute. ******, if the premise of carrying a gun was to kill someone your thought process is right on. 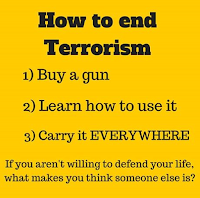 However, if you adopt the philosophy that a firearm is merely a highly efficient tool used to end a threat to your (or an innocent's) life, the connection is much easier. HOWEVER, one does not simply strap a gun to one's hip (or wherever) and suddenly become a defender of the masses. There is an enormous responsibility one must understand and embrace when one decides to carry a firearm (with great power comes great responsibility), AND thoughtful and serious education and continual training must be committed to. I am somewhat disturbed by the comments by ******** (a firearms instructor) that portend (at least appear to) the thought of someone using a firearm defensively to "wound" (if I misconstrued your comments ******* I apologize). 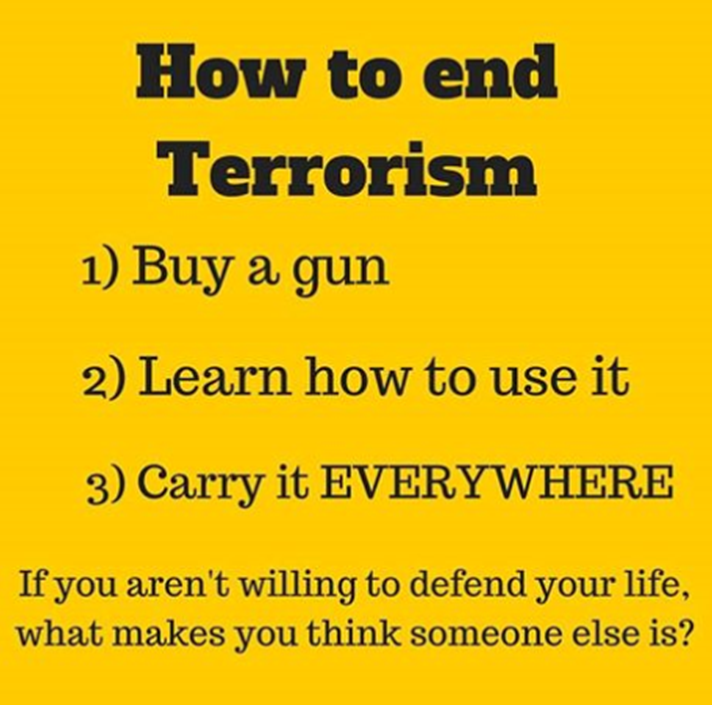 No legitimate training teaches the use of a firearm to accomplish any mission other than to stop the threat. To do that, you visit harm on the threat until that threat is no longer functioning as a threat. This action can be as slight as exuding a non-victim presence to the extreme of introducing a volume of heavy metals into the circulatory and neurologic centers of the threat sufficient to cause said systems to cease to function. NEVER EVER put a weapon on your body or in your hands thinking you will use it to kill unless you also intend to spend the remainder of your life in prison. Finally, understand that "killers" and "terrorists" do not view or value life as you or I do. They are able to disassociate their actions with the weight of life. This is an enormous hurdle that the 'normal' person has to overcome when trying to deal with how to accomplish the action of ending the threat. I cannot begin to explain this concept in a Facebook post (too long already). Tim Larkin's book " How To Survive the Most Critical 5 Seconds of Your Life" does a very good job of illustrating the difference in mindset between predators and their prey and should be read by anyone that wants to enter the discussion of self protection. Sorry for the lengthy post but this is heavy stuff that cannot be understood in Facebook 'sound bites. I would actually like to hear any feedback anyone has on this topic. Again, I apologize for the non-build post (not that there are many of those on here), but things being what they are I felt it appropriate. This is definitely NOT the time to start another build, but I have been doing a ton of research and have decided that I want a long-range rifle that can also be used to hunt pig, antelope, and deer. I like the idea of the 6.8SPC and have many friends that swear by it's accuracy, but I want something that has some legs. Thus the .264 LBC, a slight variation of the 6.5 Grendel. This slight change from the 6.5 Grendel gives more consistant accuracy and longer brass life...sounds good. I have, as I have shared before, is a very nice lower that I purpose built for accuracy on my Service Match Rifle. I love the trigger pull, but the grip and stock is a bit clunky. I would like to have more tuning options on the length, and a the Pearce grip on my first build is incredible...so, for now I will probably use the lower on my first build. I also have a nice upper from SOTA Arms. This is a very high quality piece of engineering that will hold the rest of the upper parts very well. I have the rifle length gas tube, a low-profile gas block, and a muzzle break and crush washer from SOTA Arms. Not a lot, but enough to make me want to finish the upper. The heart and soul of this build will be a BlackHoleWeaponry barrel. 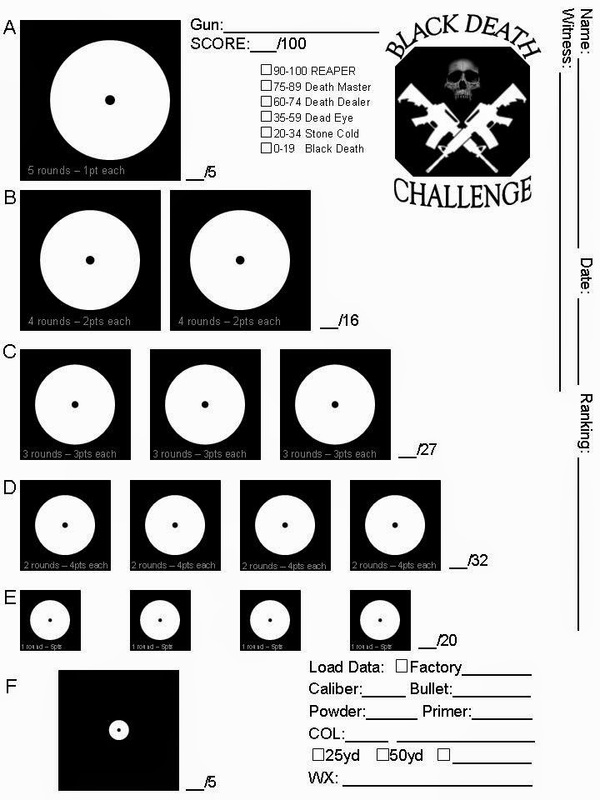 I haven't decided weather I want a 20 or 24" barrel, but am leaning for the 24" just to have the ability to really stretch the capabilities of the .264 LBC round. Obviously, with long range accuracy I will have a free-float hand-guard. I will try and keep this as light as I can without breaking the bank. I am looking very hard at YHM lightweight designs, however I also really like Rock River Arms TRO XL handguard. A bolt is fairly easy to get from Tactical Ammunition, and if I need to I can use a bolt carrier from another upper for the time being. That's pretty much it for now.... I guess I will see what I can find and hopefully get something together in the next few months. Total paid for this build was ~$550 after shipping and misc. pieces and parts. If you check the RRA page you will see that the prices I am posting are way below the retail prices. I have an 03 FFL for the purposes of collecting old firearms, but it really pays off with the discounts RRA offers. If you are serious about building AR platforms, pay the $30 and get your FFL. 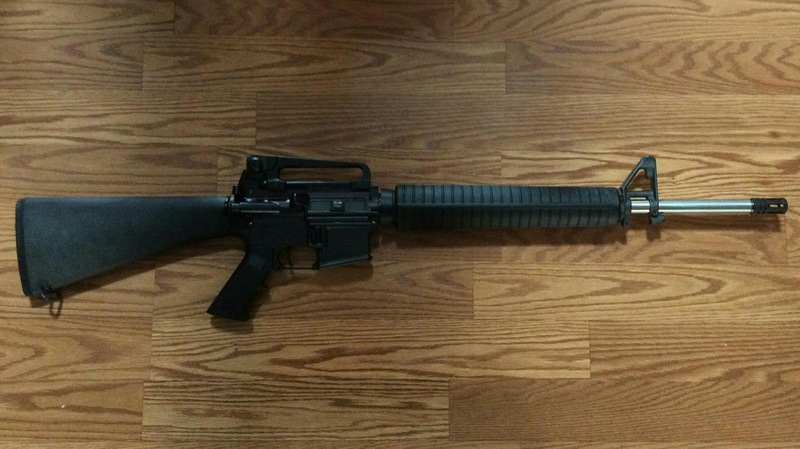 The actual build process was very straight forward, the most difficult part was getting the barrel and the sleve installed to where all the parts line up. Also the Front Sight Post on the WOA barrel is windage adjustable, and the set screw lines up right under the sling mount on the barrel sleve. This is a pain, but a few seconds with a dremmel and a cut off wheel created a notch that gave me access to the set screw. The key to a NM build is to take your time, don't force anything, and use the right tools. I don't have a 600m range to really put this rifle through it's paces, but after getting the sights dialed in I was sub-moa at 200 yards with very little effort. This rifle is HEAVY, which is bad if I wanted to take it on a jungle patrol, but the furthest this thing will travel on a sling is from the firing line to the mat. Strictly a match rifle, unless the zombie appocolypse hits then I will post up on the roof and get them before they know I am there.